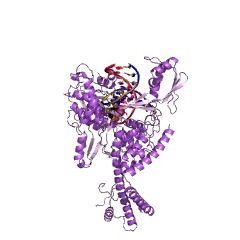 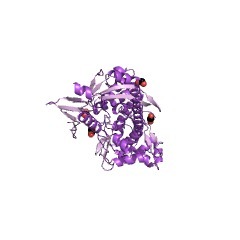 There are 40904 TOP4c domains in 40879 proteins in SMART's nrdb database. 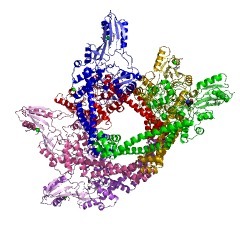 Taxonomic distribution of proteins containing TOP4c domain. This tree includes only several representative species. 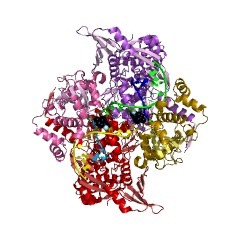 The complete taxonomic breakdown of all proteins with TOP4c domain is also avaliable. 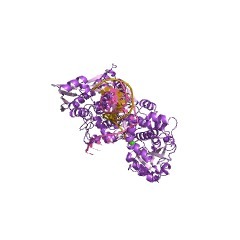 Click on the protein counts, or double click on taxonomic names to display all proteins containing TOP4c domain in the selected taxonomic class. 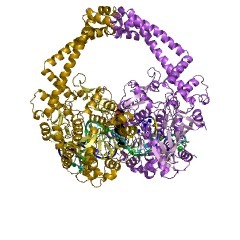 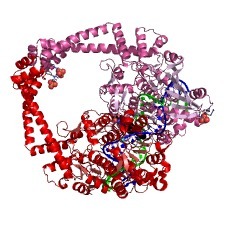 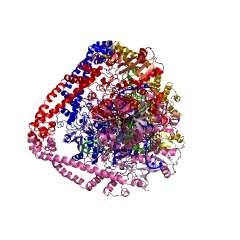 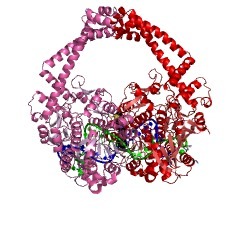 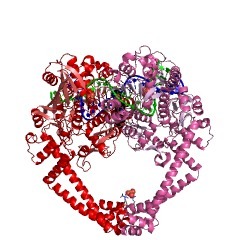 The crystal structure of a large fragment of yeast type II DNA topoisomerase reveals a heart-shaped dimeric protein with a large central hole. 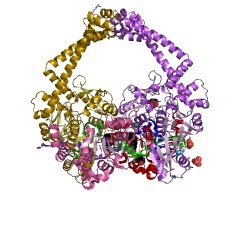 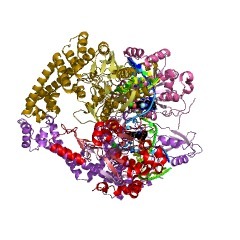 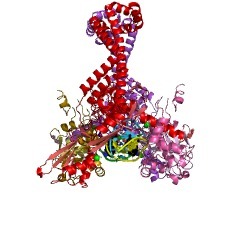 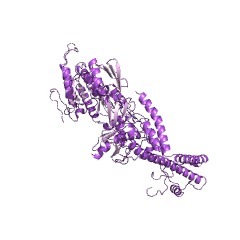 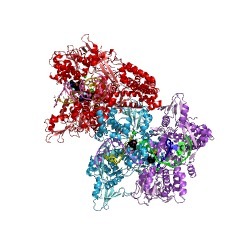 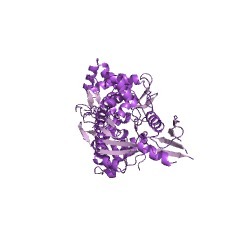 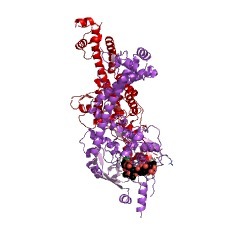 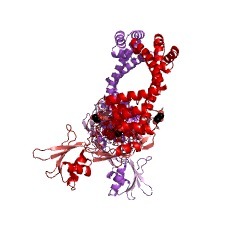 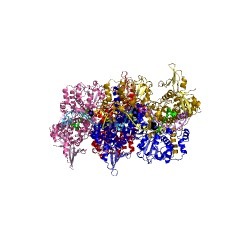 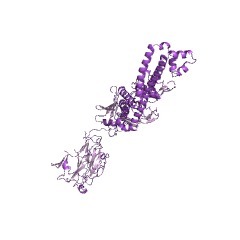 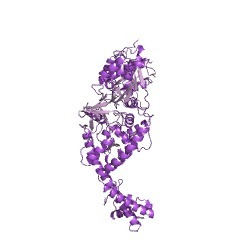 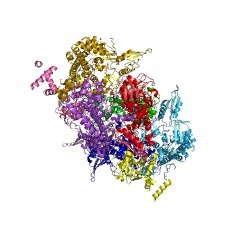 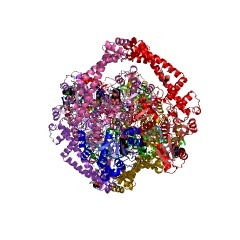 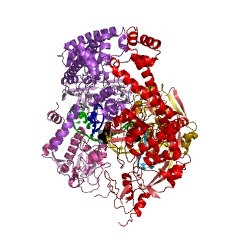 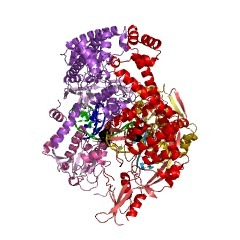 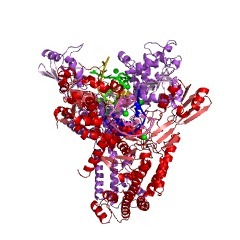 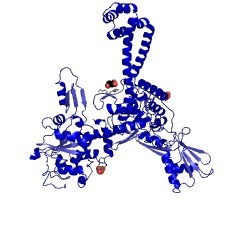 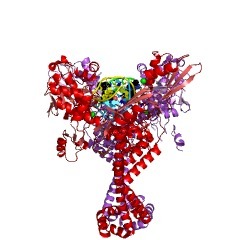 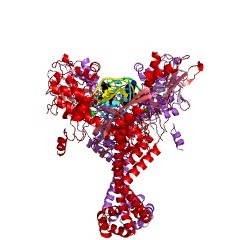 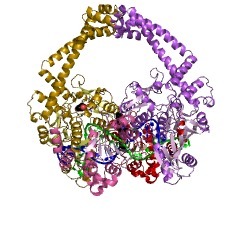 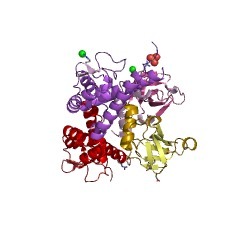 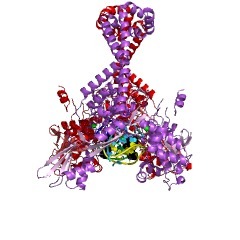 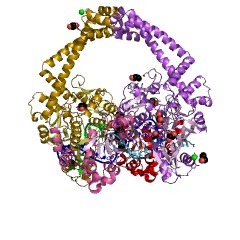 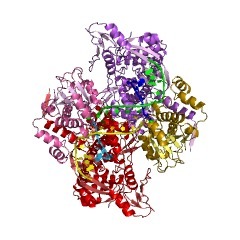 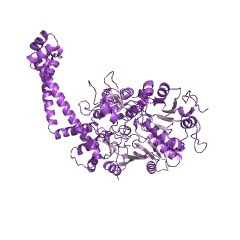 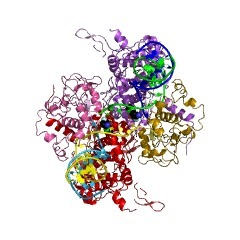 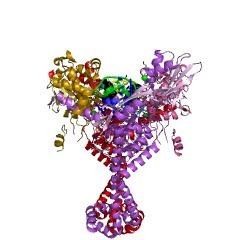 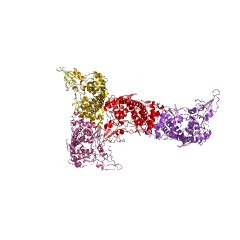 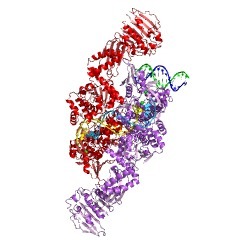 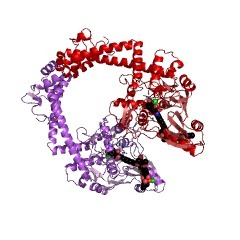 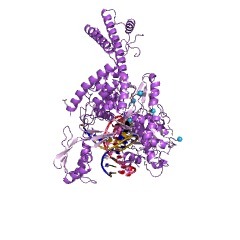 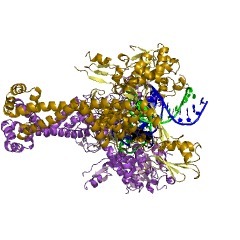 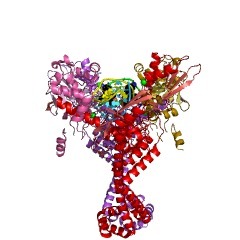 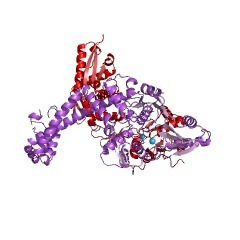 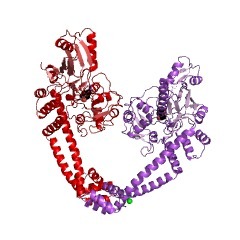 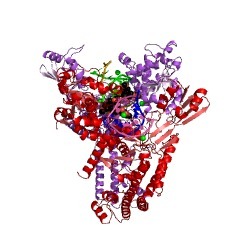 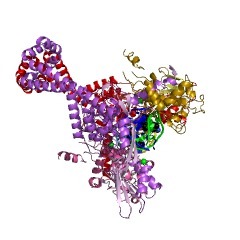 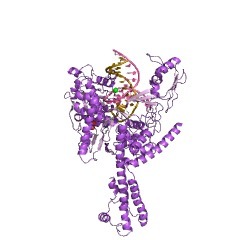 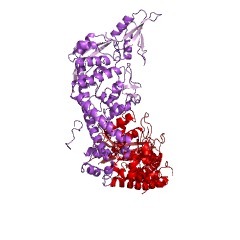 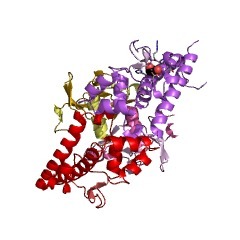 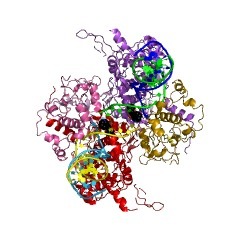 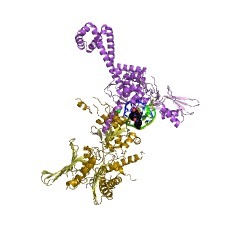 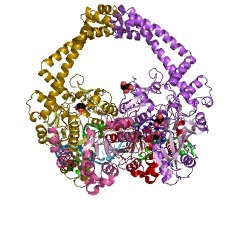 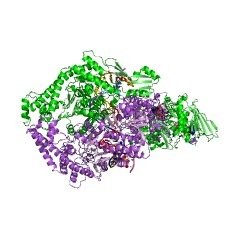 It provides a molecular model of the enzyme as an ATP-modulated clamp with two sets of jaws at opposite ends, connected by multiple joints. 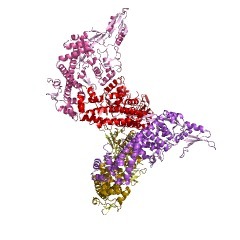 An enzyme with bound DNA can admit a second DNA duplex through one set of jaws, transport it through the cleaved first duplex, and expel it through the other set of jaws.